Beijing Cough (in Chinese 北京咳 – in pinyin “Beijing ke”) is for sure a reality, but probably other polluted cities have something much alike. Particular about it, is Beijing’s climate (very dry in winter) and the type of pollution (not to forget about the ozone too). 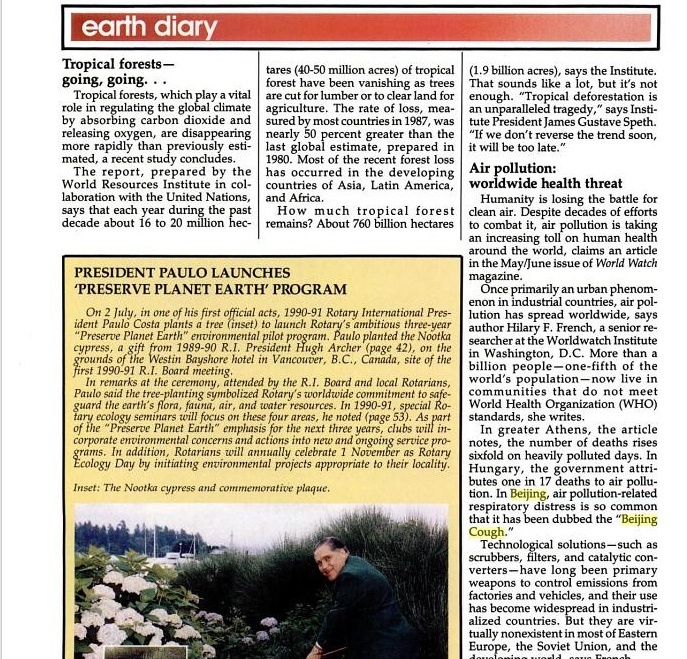 The term “Beijing Cough” first appeared in The Rotarian, September 1990, as far as it is known. Some doctors consider Beijing Cough as only a chronic ailment. In my opinion, it has not to be chronic: pollution levels may vary, your level and type of outdoor activity may vary, resulting in Beijing Cough during a limited period, like several weeks or more. Catching a cold or a flu and being exposed to the Beijing pollution can complicate everything. The term was coined with words from the English language to describe a bout of persistent dry cough or throat tickle because of Beijing’s poor air quality. It has become common thanks to the smog and haze that smothers Beijing and leaves an increasing number of Chinese and expatriates suffering intense bouts of coughing. The symptoms are said to disappear once people leave Beijing. Some Chinese claim that it mostly affects “poor foreigners used to clean air”. All much rubbish, just walk the streets in Beijing to see (and hear) Chinese clearing their throats and spitting anytime and anywhere. 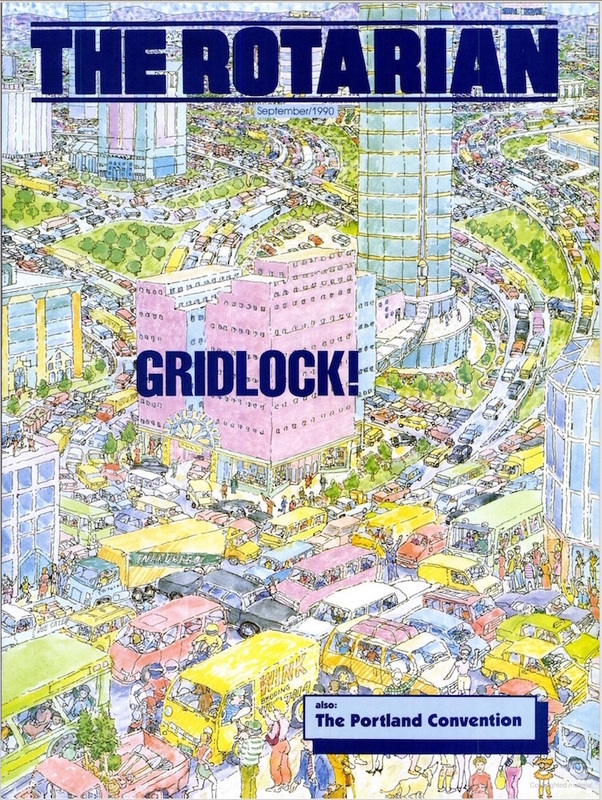 In my book Toxic Capitalism” I talk about the issue and its effect on the health of the population. 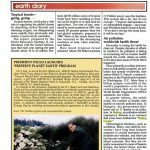 I was probably the first one to raise the alarm on Beijing’s air pollution, years ago and the articles are still here on this blog. There is no denying that the “Beijing Ke” owes its origin to air pollution. Beijing’s PM2.5 (suspended particulates in the atmosphere that are smaller than 2.5 micrometers) has hovered around record highs and is hazardous to human health. Beijing can be called the world’s “cough capital”. The density of health-threatening PM2.5 can hit 400 μg/m3. 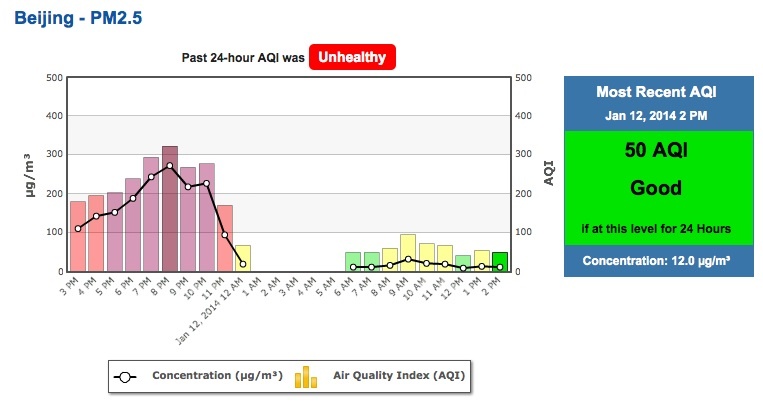 On 13 January 2013 the Beijing PM 2.5 reached 900 μg/m3. 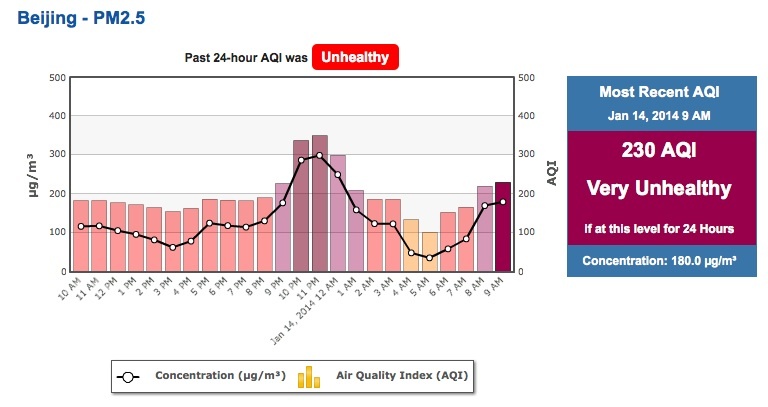 My wild guess is that in Beijing a reading of PM 2.5 of 61.0 μg/m3 with AQI of 154 is very much “the normal value”; recently levels have been slowly dropping. Those levels are considered “unhealthy at 24-hour exposure”. In Belgium they freak out at AQI of 50 (or even less). What is in the polluted air? Comes in spasms of coughing. A spasm might last 90 seconds. A spasm might come every 10 minutes. You don’t cough up anything, it is a dry, itchy, chronic, and phlegm-less cough. The throat feels irritated, but without what we would call a sore throat. Worse when lying down, e.g. at night. Worst period is December to April. Greenpeace has published tips on their official website, urging people to protect themselves from the dangers of PM2.5. “Senior citizens, children, pregnant women and crowds with respiratory diseases should avoid staying outside for a long time when the PM2.5 value reaches 75-115 micrograms per cubic meter. And regular adults should wear masks when the PM2.5 value reaches 150-250 micrograms per cubic meter,” the report said. 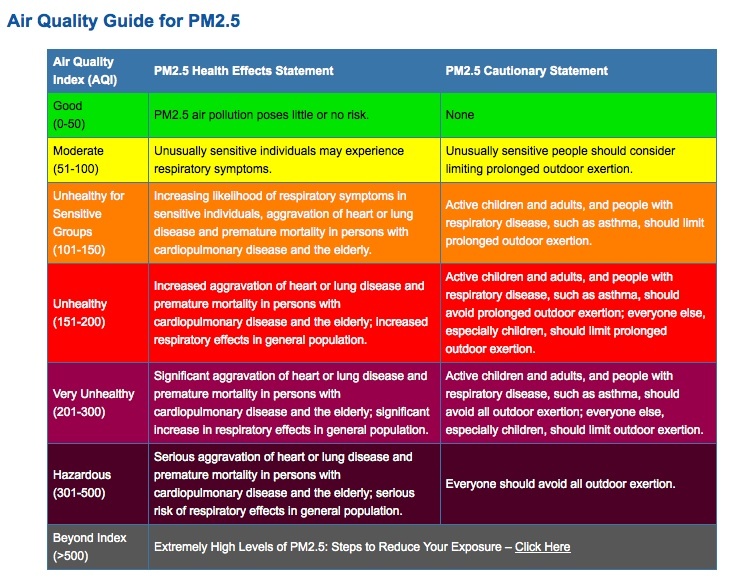 Regular reports of air quality usually come measured in AQI, not PM2.5 values. At-risk populations should stay indoors for AQI values of 101 to 150, and the entire population should use precautions at levels of 201 to 300. Recent AQI readings from the top sources for AQI data, the US Embassy and the Beijing Environmental Monitoring Center, have been 500 or above. When pollution is high, do not open windows and let the AC only circulate the air, no “fresh air intake”. Do not rely on dust masks for protection. Paper “comfort” or “dust” masks are designed to trap large particles, such as sawdust. These masks will not protect your lungs from small particles such as PM2.5. Scarves or bandanas won’t help either. Air cleaners that remove particles include high-efficiency mechanical filters and electronic air cleaners, such as electrostatic precipitators. Avoid using an air cleaner that works by generating ozone, which will increase the pollution in your home. I use myself IQAir and Amway machines. As a general recommendation I can only suggest families who are expecting a baby or having small children to … well, leave Beijing if possible. 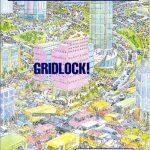 The risks are really high and you can’t live in a hermetically sealed environment. And kids want to go outside to play, you can’t always stop them. True, some international schools do pay a lot of attention to pollution and try to “limit the damage”. Packaging on the masks lure consumers in with technical buzzwords – N 95, PM 2.5, anti-pollution, anti-bacterial, and anything that sounds suitably scientific – and every other package seems to have the 3M logo or at least something vaguely resembling it. Fortunately, The Shanghai Consumer Rights Protection Commission released a report in late 2013, looking at the efficacy of 17 different disposable masks commonly available on the Chinese market. Staff at the commission purchased two masks in stores and 15 online. Using the GB 2626-2006 filtertype dust respirator mask as their standard, they tested each mask for filtration efficiency, leakage, resistance to breathing in, resistance to breathing out as well as several other indicators. I narrowed the list down to a handful of the top five you should look for, all of which had filtration efficiency over 95%, leakage rates under 7%, and low breathing resistance rates. They are the 3M 9041 and 9010; MASkin 6135; 3L N95; and Gangkai KN95 港凯KN95防尘口罩. My vote for the best is the usual gold standard: 3M, with two masks that did well here. I also think people should check out 3M’s new line of Vflex masks, the 9105, specifically designed for consumer markets in the developing world such as China. So what do we ourselves use? cycling: 3M 6200 mask with filters P100 ref 2097; this one is the top of the top; it is a GB 2626-2006 filtertype dust respirator mask – considered the standard. cycling: I also use the 3M mask Type 8210V (N95), available online for 10 RMB/piece; good fit and more simple. Now, that is the hard part. Seems nothing seems to work, except leaving Beijing for greener pastures. While “Beijing United Family Hospital and Clinics” explains a lot on what does NOT work, it leaves us with little or no tips. Cough suppressants or expectorants can be used to relieve symptoms, but they do not hasten the recovery process. Also, they often prove useless. I have tried all kinds of syrups, Western and TCM types. Some taste at least good but seem to have zero effect. Dextromethorphan and codeine are two common cough suppressants. These drugs inhibit the cough center of the brain and make the relevant neural receptors less sensitive. The main side effects, especially for codeine, are drowsiness, constipation and nausea. Might not sound that good but if it can give you a good night of sleep, why not. The rather well-known Richard Saint Cyr MD, (myhealthbeijing.com) does not add much to the whole story, except recommending good masks and air purifiers. I guess visiting the hospital would not be very helpful either (and very very expensive). SOS International is more down to earth. After checking the results of my blood test and X-ray it decided against antibiotics and the usual array of syrups. Just something to control the coughing, and give the body time to heal. The blood tests also confirmed an allergic reaction along with an infection. My personal experience tells me there can be an allergic reaction, to the particles sitting in my lungs or respiratory system, increasing the coughing to very uncomfortable levels and waking me up in the middle of the night. One reason is that the PM2.5 is said to contain fungus particles who can stir up trouble. I took some “cold & allergy relief tablets” (with antihistamine), and it did wonders, the intense cough stopped in less than 24 hours. Some doctors recommend inhalers and tablets like Tylenol Cold. My Chinese friends want me to eat tons of TCM medicine and concoctions, including garlic tea and all kinds of “miracle cures”. Might not harm but I doubt it has any effect on the fundamental symptoms of Beijing Cough. Of course, staying indoors with a good air filter machine and humidifier and going out with a real good mask when AQI hits above 100 are mandatory to help relieve the symptoms. Especially if you ride a bike like me. People with any history of allergy, even skin allergies, should keep an eye on the influence of allergy on the Beijing Cough. While I am not “allergic” anymore, I do notice that taking antihistamine at the very early start of a common cold does seem to stop the cold in it tracks. In the case of Beijing Cough, when I get acute coughing spasms, a bit of histamine does wonders. But each individual should check his/her symptoms. preferably with the assistance of a good doctor. Unfortunately I feel that many local Chinese doctors are not of much help for us foreigners, when suffering from Beijing Cough. Many of their prescriptions or pretty useless. On the other hand I have good results with a long-term TCM treatment to boost the immune system and the lung function. It even unexpectedly eliminated the dust in my lungs and the frequent bronchitis. The TCM I used is basically a daily tea made of dried fruits and other “stuff”. I am not a doctor, just an engineer and expat who survived decades moving around by being cautious what doctors and dentists told me. Doing your own research and knowing your body, and going for second opinion (or more) are simple but efficient rules – for survival.